On New Zealand's South Island is Dunedin, a vibrant city with a significant cultural and artistic life, and a funky vibe imbued by its large student population. The only city in the Otago region, Dunedin wears its Scottish heritage on its sleeve - it's known as "the Edinburgh of the south" - but enhances its history with a wonderful outdoor life forged on its beaches and by its wildlife. As the most southerly port for cruise liners sailing the Southern Ocean, Dunedin really does offer something for everyone and visitors will be delighted at the range of holiday accommodation available in Dunedin. The Scottish immigrants who settled on the Otago Peninsula in the early 19th century found a rugged landscape remarkably similar to the one they had left behind and so it's unsurprising that the first city fathers modelled Dunedin on the Scottish capital, Edinburgh. Today many gems of Victorian and Edwardian architecture survive intact in Dunedin, giving a very northern European look to what was once New Zealand's biggest and most prosperous city with holiday rentals reflecting both a historic past and a very vibrant present. One of the best examples of Edwardian architecture is Dunedin Railway Station, which celebrated its centenary in 2006. 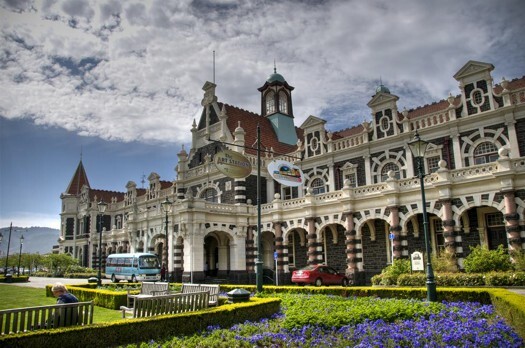 The most photographed building in New Zealand, the station is a must-see for any visitor to Dunedin. It is also the starting point for the 77km-long Taieri Gorge Railway Journey, a scenic and history trip through the magnificent Taieri River Gorge that departs daily and is not to be missed. Get your best walking shoes on to tackle Baldwin Street, recognised by the Guinness Book of Records as the steepest street in the world. 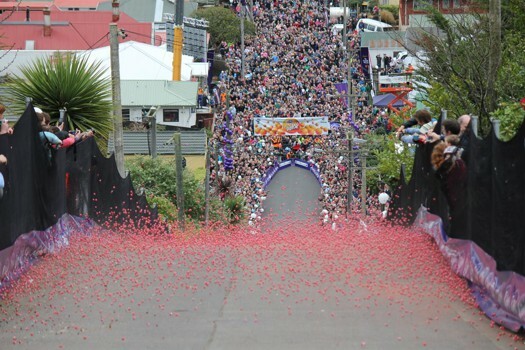 Baldwin Street runs up the northern side of Signal Hill, overlooking Otago Harbour, and is the setting of several annual events, including the Jaffa Race - part of the annual Cadbury Chocolate Carnival - when 30,000 Jaffa cakes are rolled down the street. Walking up Baldwin Street's steps (there's no path) takes around 10 minutes, although it's only 350m long, with a welcome drinking fountain at the top. More chocolate than anyone can handle can be found at Cadbury World, with factory tours, products to sample and a visitor centre revealing the secrets of the chocolate manufacturer. And for the adults, a tour of the brewery that makes Speights, New Zealand's iconic beer producer, is also a must. Along with excellent holiday accommodation, Dunedin is also blessed with superb art and cultural activities - there are several major art galleries, including the Dunedin Public Art Gallery, established in 1884 and one of the few galleries in New Zealand to host major touring collections. 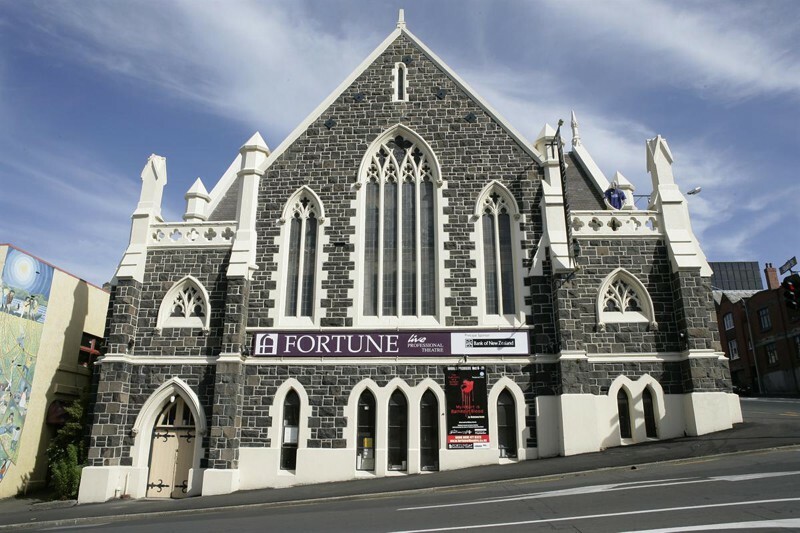 The Fortune Theatre is the most southernmost professional theatre company in the world with other major theatres such as the Regent, the Globe and the Playhouse; while Dunedin regularly hosts touring national and international ballet and dance companies. As a growing centre for ecotourism, Dunedin offers a gateway to New Zealand's splendid wildlife, including the only colony of Royal Albatross on the New Zealand mainland along with penguin and sea colonies on the Otago Peninsula and the Sinclair Wetlands on Lake Waihola. Larnach Castle is New Zealand's only castle and is an architectural gem built for the wealthy Larnach family with materials shipped from around the world, including slate from Wales, tiles from England, glass from Venice and France, and marble from Italy. Today the castle has been restored and its setting on the Otago Peninsula offers unrivalled views of Dunedin Harbour and the Pacific Ocean. 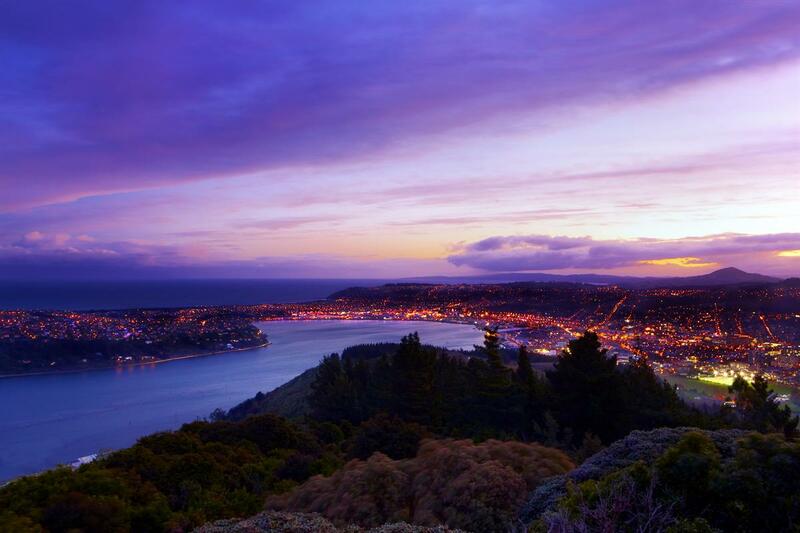 Dunedin has a coastal climate that makes it the coolest and cloudiest of all New Zealand cities. Expect damp and rainy weather even during the summer months but with the harbour offering shelter, Dunedin's summer days are often warm. Do dress appropriately and carry a warm or waterproof jacket no matter what time of year you're visiting. Dunedin's airport has excellent links with the rest of New Zealand - the nearest international airport is Christchurch - and car rental can be arranged along with your Dunedin holiday accommodation when planning your trip. Well-maintained highways link Dunedin with the rest of Otago, although some areas of central Otago have less developed roads that may require 4WD transport.